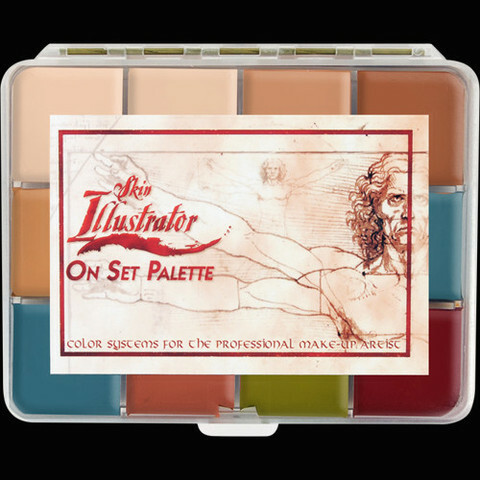 One of the product I can’t really live without as a makeup artist is the “Skin Illustrator palette” by PPI,inc. 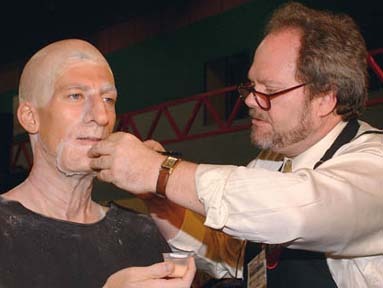 Working in movies nowadays requires makeup effects that are almost invisible to the camera and the audience eyes. Most of the movies are turning in very high quality, such as IMAX and HD, and the makeup artist job is becoming more and more challenging every generation. Fortunately, Kenny Myers, award winning makeup artist, developed the “SKIN ILLUSTRATOR”, a system of durable, water and abrasion resistant alchool activated makeup. 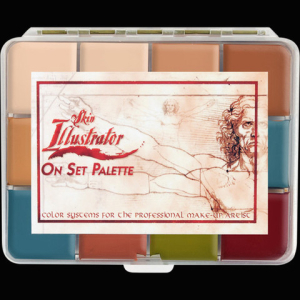 The wide range of colors allows makeup artist total control and freedom in mixing them in order to create any illusion imaginable. This product made the makeup artist’s life and job so much easier and with better result in front of the camera, which is a very scary “machine”. It will cover tattoos, create effects, color hair, and it can be used on foam latex, gelatin, plastic, and silicone appliances. The high pigment content provides rich color tones that stay in place and last all day, so you don’t have to worry anymore for the seating actors or even the change of weather conditions.